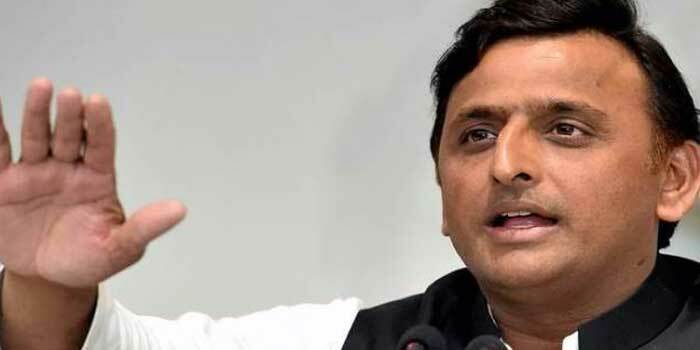 Samajwadi party chief Akhilesh Yadav has targeted the Yogi Adityanath government for renaming the Ekana stadium in Lucknow after Atal Bihari Vajpayee. He said the BJP should construct a separate stadium at the former PM’s paternal village of Bateshwar near Agra than resorting to mere renaming exercises. SP chief expressed happiness over the renaming, he added that the Bharatiya Janata Party (BJP) could have even constructed a new stadium after Vajpayee instead of renaming an existing one. Reports suggest that his statement came while he was offering prayers in Agra’s Bateshwar Mahadev Temple on Tuesday. The proposal to rename the stadium was approved by Uttar Pradesh Governor Ram Naik. The official name of the cricket ground, which is set to host the second T20I of the ongoing three-match series between India and West Indies today, is now ‘Bharat Ratna Atal Bihari Vajpayee International Cricket Stadium’. The stadium was named after Vajpayee, as the former prime minister was a Member of Parliament (MP) from Lucknow for five consecutive times between 1991 and 2009.